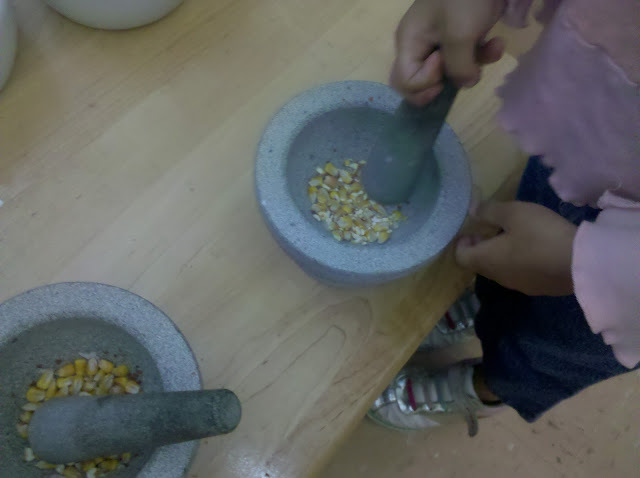 We received a gift of corn kernels from Ms. Kelly and Ms. Beth after they were finished using them in their room. Score! We poured them in our sensory table and added some for grinding in the mortars. We quickly discovered that the less kernals in the mortar the easier it is to grind. we're going on a wheel hunt!